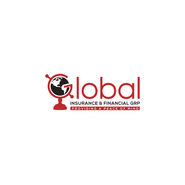 Global Insurance & Financial Group, insurance agency, listed under "Insurance Agencies" category, is located at 358 Roswell Street Northeast Marietta GA, 30060 and can be reached by 6787127977 phone number. Global Insurance & Financial Group has currently 0 reviews. Browse all Insurance Agencies in Marietta GA. Discover census data for Marietta, GA.